Persistent pain (which is also called chronic pain) is a complex condition, so we need to use different tools to treat and manage it. Although your doctor and other healthcare professionals can support you in managing your pain, the average person with a persistent condition will spend only three hours a year in contact with these people. This means it is essential that you have tools to help you manage your pain in your everyday life. Understanding how to manage your pain will help you to live a more fulfilling life. The Pain Toolkit is a helpful resource. It's available online or as an app for Android or Apple. Developed by pain management specialists and people with persistent pain, it uses tools that will help you come up with a personalised pain management action plan. Develop a pain management plan with your GP or specialist. You may find it useful to work through the plan developed by the Pain Management Network. Learn what self-management steps you can take. These can include eating well, staying active, having a good sleep routine, and managing stress. See your GP if you are suffering from depression or anxiety. This is very common in people who have persistent pain. Treating your depression or anxiety through counselling, self-directed therapy, or medication will help your pain. 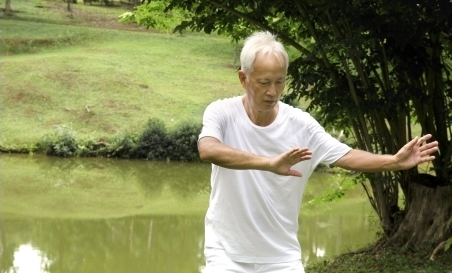 Try relaxation activities like tai chi and meditation, which can really help to manage persistent pain. Set-backs, or flare-ups, are a normal part of persistent pain. Develop a plan for how you will deal with them. Make sure you have enough support. It is easy for people with persistent pain to become socially isolated, which does not help their condition. Your doctor will usually be your main contact for help in managing your pain. Often there are many small steps that can help, but you need to take time to work on them. So sticking with one GP and seeing them regularly will make it easier for them to help you to manage your pain. Talk to your GP about whether you would benefit from seeing a specialist psychologist, physiotherapist or occupational therapist. Your GP may refer you to one or more of these health professionals. The team at the Burwood Pain Management Centre are specialists in managing complex pain. Your GP may refer you to this team if you would benefit from specialist input. If your GP refers you to this service you will be invited to attend an introductory seminar that explains some ways of dealing with persistent pain, and will help to find out if you will benefit from further treatment. To find out about the disability allowance benefit, see Disability allowance for adults. Written by HealthInfo clinical advisers. Endorsed by Burwood Pain Management Centre clinical coordinator. Last reviewed June 2017. Last updated September 2018.